The choice of every retailer Setting the new benchmark for omni-directional scaning, the Nexus N-3030 takes an unique position in the market. With an unequalled 2480 scans/second and an unique scan pattern of 24 scan lines, the Nexus is the choice of every retailer who wants to optimise counter environment with a winning scanner performance and a great design! The special flexible stand enables the retailer to position the scanner to the wishes of the operator, ensuring an ergonomic use. The Nexus is ideally suited for drugstores, pharmacies, department stores, petrol stations and supermarkets. Special stitching software enables it to read poorly printed and damaged codes, an USB interface connects it to the latest POS-systems and the Nexus is equipped with an EAS deactivation antenna to ensure compatibility to all RF security systems. 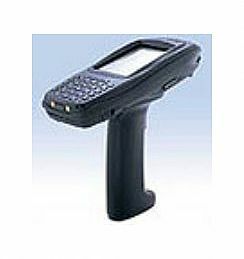 General information The Nexus N-3030 is the benchmark for presentation scanning. The 7 directions scan field of the Nexus generates a large volume reading zone with a scan pattern of 24 lines, ensuring high performance omni-directional scanning. Scantech’s new Scantium MMX decoder chip gives the Nexus an unrivalled multidecoding power. Cost of Ownership The Nexus features Scantech’s unique and patented Goldrush polygon technology. Evaporated gold on the polygon makes it ultra light, giving longer motor life and faster ‘wake-up’ times from the energy saving sleep mode. In addition, a flash EPROM gives the possibility to upgrade the firmware within the twinkling of an eye. Reading of damaged and out-of-spec codes Special STAR software enables the Nexus to easily read truncated and substandard codes from a distance as well as on the window. Even damaged or frozen food codes are no problem for the special code stitching intelligence of the Nexus. Furthermore, the Nexus is the benchmark for reading EAN/UPC AddOn codes. 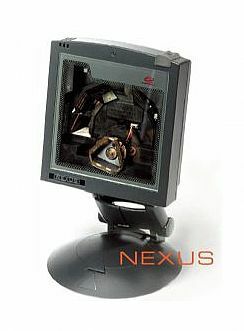 Ergonomics and ease of use The Nexus can be installed fixed on a counter surface or on a flexible, rotating stand. The stand can be rotated and tilted in the direction that the operator likes it best to work with in order to optimise efficiency at the checkout. The flexible stand also has a cable guide through the centre to cleverly connect the cables to the scanner without leaving them into sight on the counter. Flexibility The Nexus comes in two interface versions: RS232/OCIA or IBM RS485/Keyboard Wedge and USB. 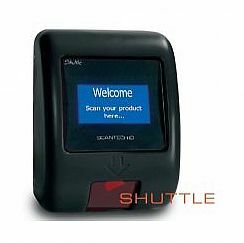 This makes multiple installations and migration from one PoS system extremely easy. 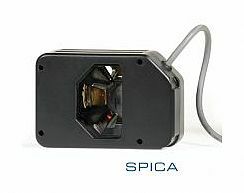 An auxiliary port for connecting a hand held scanner is standard, just as the EAS deactivation antenna for the use with RF security systems.